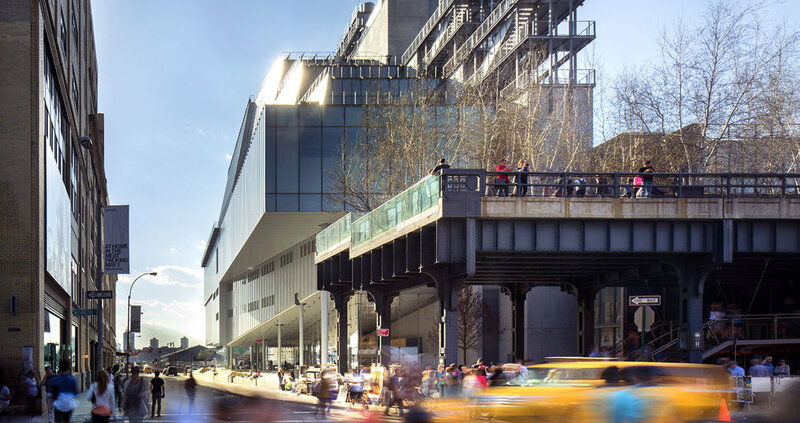 The Whitney Museum has moved from its iconic Marcel Breuer building on Madison Avenue to another iconic building, located at the end of the High Line in the Meatpacking District. 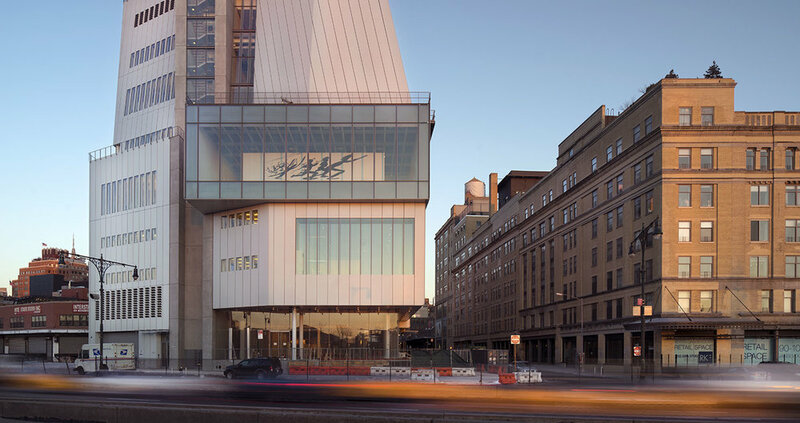 As project manager for Theatre Projects, Nextstage Design principal Tony Forman helped create spaces for the Whitney’s vibrant performing arts program and its film and video exhibitions. The multipurpose Hess Family Theater accommodates film, dance, and theater presentations, as well as lectures, dinners, and receptions. Extensive adjustable acoustics and digitally-controlled LED lighting systems provide great flexibility, and a high-quality retractable seating unit provides optimal sightlines for film and dance. The 1,000-square-foot Kaufman Astoria Studio is specially equipped for film and video screenings. The Studio opens onto one of three rooftop decks, all with robust exhibit infrastructure and great views of the city and harbor.